The World Intellectual Property Organization (WIPO) is a specialized agency of the United Nations. It is dedicated to developing a balanced and accessible international Intellectual Property (IP) system, which rewards creativity, stimulates innovation and contributes to economic development while safeguarding the public interest. The International Trademark Association (INTA) is a not-for-profit membership association dedicated to the support and advancement of trademarks and related intellectual property as elements of fair and effective commerce. ICANN was formed in 1998. It is a not-for-profit public-benefit corporation with participants from all over the world dedicated to keeping the Internet secure, stable and interoperable. It promotes competition and develops policy on the Internet’s unique identifiers. A member of Talal Abu-Ghazaleh Organization (TAG-Org), AGIP provides aggregate Intellectual Property services covering trademark, patent, copyright, design and domain name registration, renewal, search and investigation, valuation, litigation, translation and watching. The Arab Society for Intellectual Property (ASIP) is a non-profit organization that was established on February 23, 1987 in Munich Germany, by some of the top practitioners of the many fields of intellectual property (IP) in the Arab region, headed by Mr. Talal Abu-Ghazaleh. Its mission is to bring together the IP professionals and practitioners in the Arab region and to help build awareness and understanding of intellectual property issues and their dynamics. The Licensing Executives Society–Arab Countries (LES-AC) is the first non-profit Arab regional society specialized in licensing and technology transfer. LES-AC aims at educating the business community on the economic importance of Licensing, the protection of Intellectual Property Rights (IPRs), and research and development (R&D) investment. 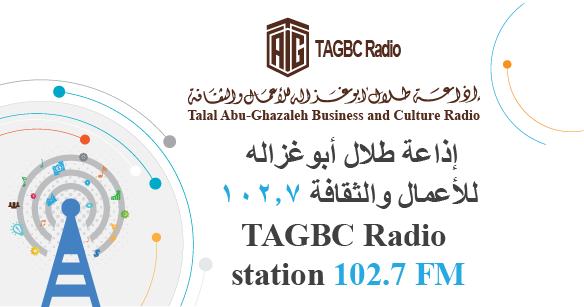 Talal Abu-Ghazaleh Information Technology International (TAG-ITI) is a consulting firm specialized in providing IT Audit, ERP services, ICT Consulting, Business solutions and Website services to the International Business Community.